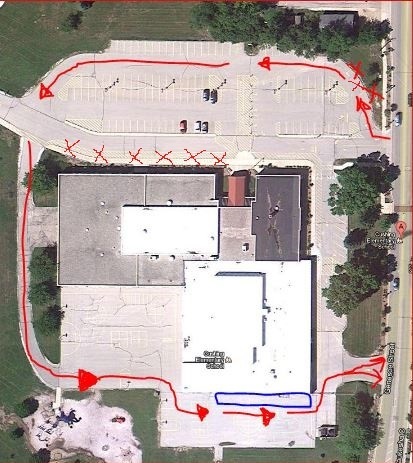 Car pick up and car drop off is permitted ONLY in the staff supervised area behind the building (see map). To make this work, all parents were required to respond how each child regularly gets home. ****You must write a note to the classroom teacher each time for a change in plans from what you signed up for on this form. There will be no changes accepted after 3:00 p.m. unless it is an emergency. Cushing understands that some students have rotating schedules due to custody agreements. If this is the case for your student, please provide Cushing with a calendar that indicates which option the student will choose each day. Ideally, that calendar will be monthly or yearly. Please do not make daily changes. Please call Cushing at 646-6731 if you have questions about this process.